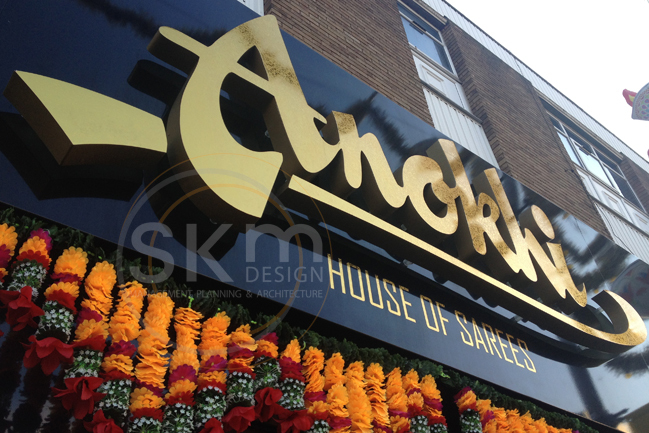 Signage design for one of the most prominent frontages on Leicester’s Golden Mile. 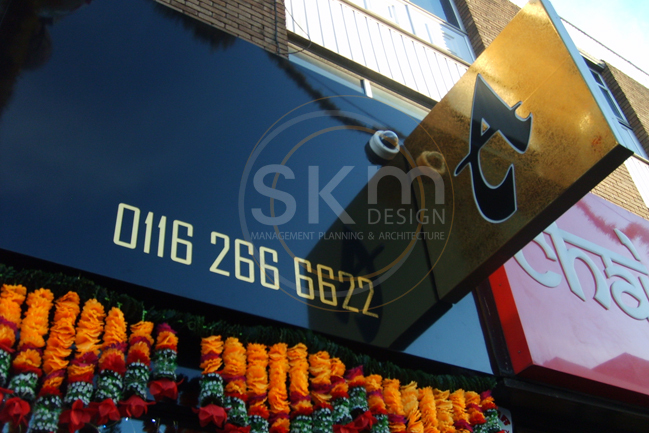 The original white, green and pink finish was completely transformed by using a glossy black to really make the window displays ‘pop’. 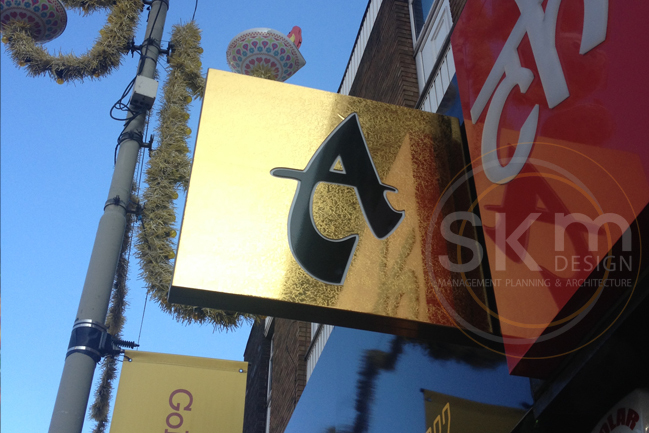 The effect is particularly heightened at night, allowing the stunning products to speak for themselves. 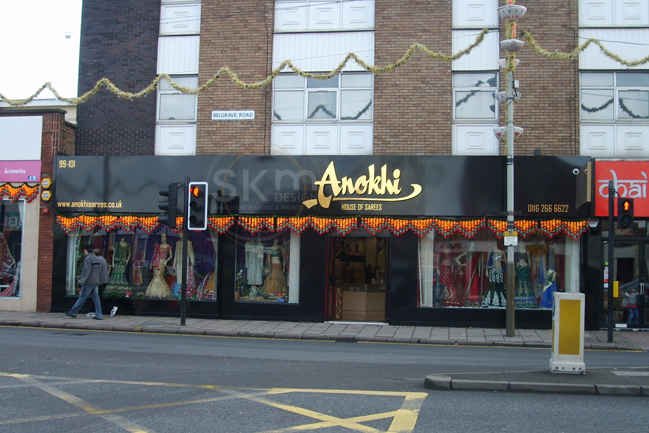 Accents in gold make this a simple and elegant design bringing Anokhi’s shopfront up to date.